Jared was born in 1993 in Silver City, New Mexico. As a child of a geologist, he lived in several states, including Wyoming, Utah, and West Virginia- where he currently resides. 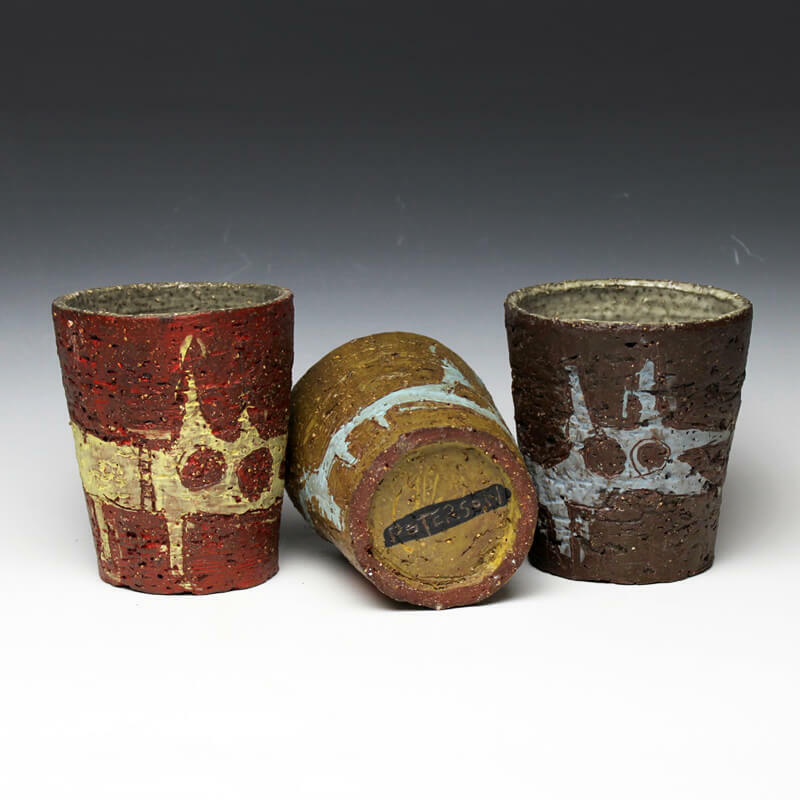 In 2012, Jared discovered his love for ceramics at West Virginia University. While studying English and working at West Virginia University’s college radio station as the music director, Jared stumbled into Jen Allen’s introduction to wheel-throwing class. Immediately hooked, Jared has passionate pursued ceramics ever since. In 2015, Jared worked for twelve weeks as a work-study at Arrowmont School of Arts and Crafts, and later that year, traveled to Jingdezhen, China to study at The Pottery Workshop for three months. Currently a student of Jennifer Allen, Shoji Satake, and Boomer Moore, Jared is currently working on his BFA exhibition and will finish his English degree in the spring of 2016. Jared Peterson’s work explores the distinctions between good and evil, and other dichotomous moral or objective judgements. Whether illustrating tile, handbuilding dinnerware, or forming slab sculpture, Jared works to honor and question the complicated rhythms of daily life. Driven to express reactions to circumstances in his life and the lives of others, Jared sees his daily interactions and thoughts as characters, symbols, and motifs he created. As a lover of language, music, visual art, he draws influence from subjects as far-reaching as Romantic era poetry, Outlaw country, and early American modernist painting. Jared’s goal is to fill people’s lives with work that engages the spirit with whimsy and honesty.